Electron Microscopy of Plant Cells serves as manual or reference of major modern techniques used to prepare plant material for transmission and scanning electron microscopy. There have been other books that generally discuss electron microscope methodology. This book focuses on problem areas encountered through the presence of tough cell walls and large central vacuole. It details preparative techniques for botanical specimens. Each of the nine chapters of this book covers the basic principles, useful applications, and reliable procedures used on the method of electron microscopy. Other topics discussed in each chapter include the general preparation and straining of thin sections, quantitative morphological analysis, and enzyme cytochemistry. This book also explains the immunogold labelling, rapid-freezing methods, and ambient- and low-temperature scanning electron microscopy among others. 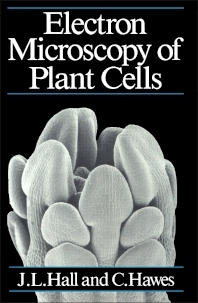 This book will be invaluable to general scientists, biologists, botanists, and students specializing in plant anatomy.